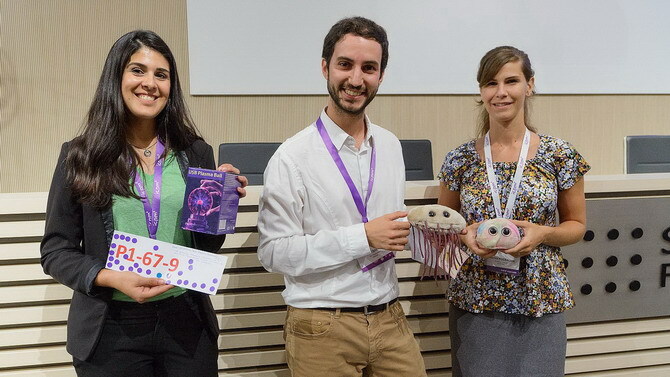 The Participants' Poster Prize is a novelty at ICPM. Five researchers from each of the three poster sessions will be awarded by all participants who can express their appreciation of the outstanding posters by pasting stickers on the poster number label. The stickers can be found in the special envelope in the conference bag. The envelope contains 15 stickers in total - five VIOLET stickers (for Monday poster session), five RED stickers (for Tuesday poster session) and five BLUE stickers (for Thursday poster session). The five best posters of each poster session will be those with the maximum of stickers. The awarded poster presenters will receive special funny prizes from the LOC. 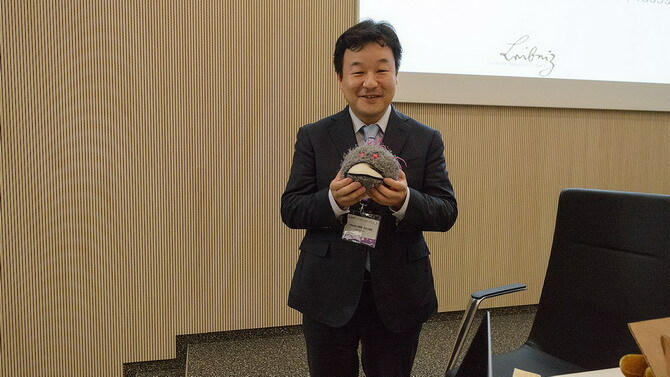 The idea is to acknowledge the most popular posters by all participants, independently from the traditional YRPA winners selected by the ISPM designated committee. Purpose: To recognize five most popular poster presentations in each of three sessions. Eligibility: Anyone presenting a poster. Announcement: Monday winners on Monday after Special session A at 19:00. Tuesday winners before Wednesday morning session at 8:55, Room A. Thursday winners before Friday morning session at 8:55, Room A.
Monday winners of Participants' Poster Prize (top photo, from left): Amel ZERROUKI, Florent SAINCT and Katarína KUČEROVÁ, (bottom photo): Hiroshi HASHIZUME. 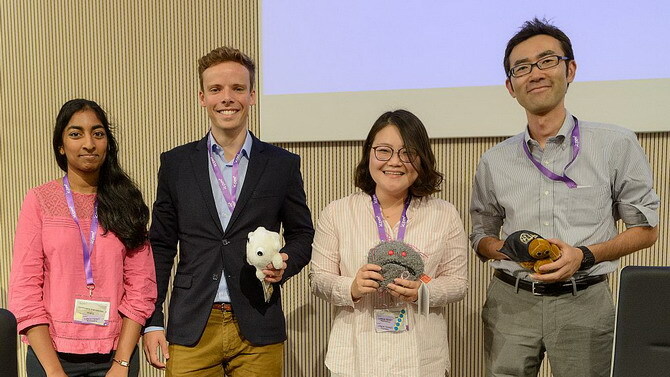 Tuesday winners of Participants' Poster Prize (from left): Vinodini VIJAYARANGAN, Janik BRÜGGEMEIER, Sang Hye JI and Giichiro UCHIDA. 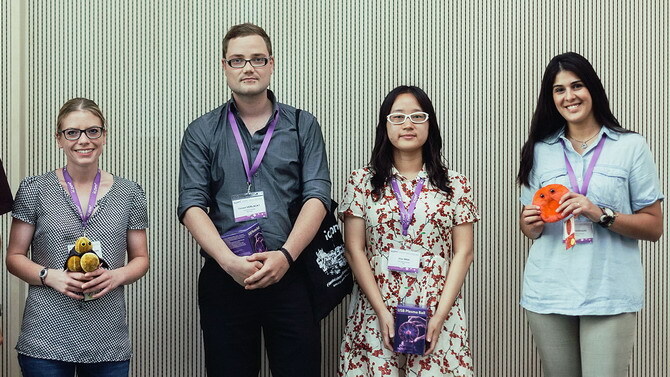 Thursday winners of Participants' Poster Prize (from left): Katharina STAPELMANN, Christof VERLACKT, Zifan WAN and Amel ZERROUKI.